Facebook has had to amend its IPO documents to concede that the shift to people accessing the social network from mobile devices could hurt its ad revenues. When you go on Facebook through an app on a phone or a tablet, you don't see any advertising in your newsfeed like you do on the web edition (although sponsored stories do pop up). So this means that although Facebook is clocking up more and more daily active users, the number of ads the site shows is rising more slowly, leading to a lower average revenue per user than the network is used to. As Facebook puts it in the amended document, "We do not currently directly generate any meaningful revenue from the use of Facebook mobile products, and our ability to do so successfully is unproven. 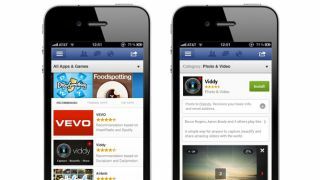 "We believe this increased usage of Facebook on mobile devices has contributed to the recent trend of our daily active users (DAUs) increasing more rapidly than the increase in the number of ads delivered." While that's not the kind of thing potential investors really want to hear, Facebook will get props for being up front about the challenge and putting its braintrust to work on how to get around it.